Relatives of persicarias include some nasty weeds, such as the infamous Japanese knotweed. profusion of flowers to the garden during summer and autumn. 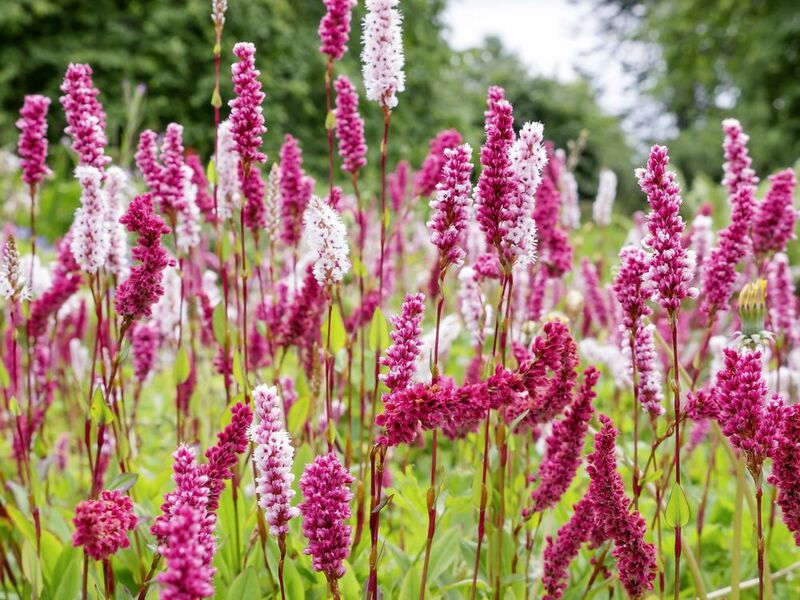 suffered from name changes and are often listed as polygonums. for at least half the day, though a few, especially P. campanulata, survive in tough, dry areas. A few are invasive but the most popular form neat clumps that can be divided in autumn or spring when dormant. They rarely need deadheading or staking, and are free from pests and diseases, although mildew can attack plants grown in dry soils.